The MicroBrewr Podcast is Going Weekly!! The success of this podcast within the first three episodes has been so awesome and the personal connections that I’ve already made have pushed me to take the next step with this podcast. 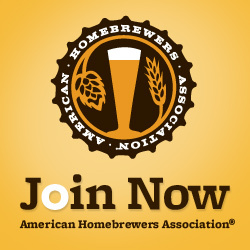 From now on, I’ll be releasing a new MicroBrewr podcast weekly for your listening enjoyment. I’ve been going back and forth on this for a few weeks but I have to give a special thanks to my friend, Nathan Pierce for pushing me to commit to the weekly podcast. In the next podcast, you’ll get to meet Nathan and hear about his project that he’s currently working on (more info to come). If there’s any specific topics that you’d like to hear more about in future podcasts, let me know on Facebook or Twitter. Finally, I just have to say it means so much to me for listening so if there’s anything that I can do to return the favor, let me know what I can do! Grant Pauly started out in working in his family’s concrete business where he had a good, stable job but found that it wasn’t where his passions truly lied. 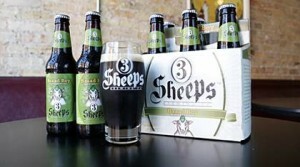 After homebrewing, Grant decided to switch paths and start a brewery in Sheboygan, WI. After the first year and a half of brewing, 3 Sheeps has already gone through multiple expansions and won the award of “Best New Wisconsin Brewery” by RateBeer. As a distribution brewery, Grant has some great pointers to share about craft beer quality control and the bottling process to make sure their great beer tastes the same, every time. Grant also digs into his decision of taking a risk to start the brewery by chasing those “really cool waterslides” and not taking it for granted. A deep dive through brewing equipment and the bottling process. Like This Podcast and Want to Give Baaaaack? If you like this podcast and all of the free info that I’ve been working to get out to help the brewing community, I would really appreciate it if you would give me a rating in iTunes and share this podcast with your friends. 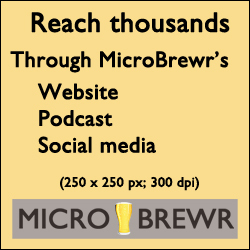 All you need to do is search for MicroBrewr in the iTunes store or you can use this link. Giving a rating in iTunes will continue to push the podcast up in the rankings which help get the word out to more people. Thanks in advance! MicroBrewr 024: Real ale in the mountain bike capital of the Northwest, with Brewers Union Local 180 in Oakridge, Oregon.